The Fourth Pig, originally published in 1936, is a wide-ranging and fascinating collection of fairy tales, poems, and ballads. Droll and sad, spirited and apprehensive, The Fourth Pig reflects the hopes and forebodings of its era but also resonates with those of today. It is a testament to the talents of Naomi Mitchison (1897-1999), who was an irrepressible phenomenon--a significant Scottish political activist as well as a prolific author. Mitchison's work, exemplified by the tales in this superb new edition, is stamped with her characteristic sharp wit, magical invention, and vivid political and social consciousness. Mitchison rewrites well-known stories such as "Hansel and Gretel" and "The Little Mermaid," and she picks up the tune of a ballad with admiring fidelity to form, as in "Mairi MacLean and the Fairy Man." Her experimental approach is encapsulated in the title story, which is a dark departure from "The Three Little Pigs." And in the play Kate Crackernuts, the author dramatizes in charms and songs a struggle against the subterranean powers of fairies who abduct humans for their pleasure. Marina Warner, the celebrated scholar of fairy tales and fiction author, provides an insightful introduction that reveals why Mitchison's writing remains significant. 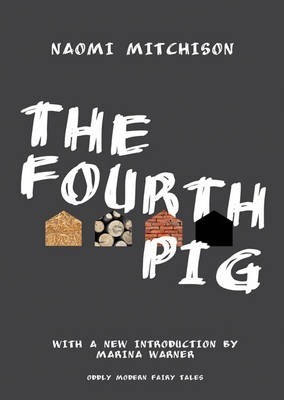 The Fourth Pig is a literary rediscovery, a pleasure that will reawaken interest in a remarkable writer and personality. Illustrations note 2 line illus. Marina Warner is a writer of fiction and cultural history who has published widely on fairy tales. Her books include From the Beast to the Blonde and Stranger Magic, winner of the 2012 National Book Critics Circle Award for Criticism. She is professor of literature, film, and theatre studies at the University of Essex and a fellow of All Souls, University of Oxford.